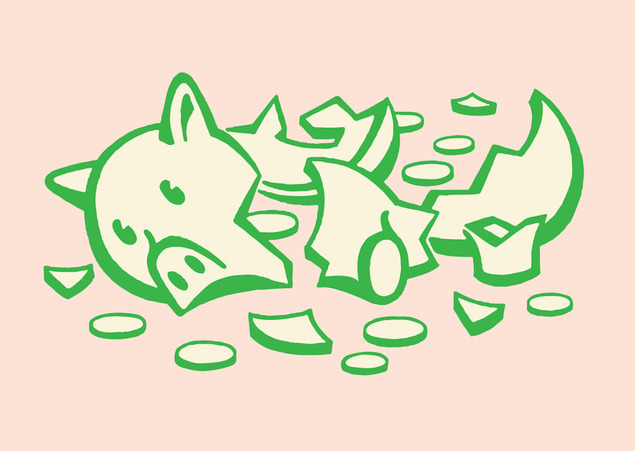 Consider the financial cost before you quit college. As if there weren't enough reasons not to drop out of school, the Department of Education has provided yet another. Students who drop out of college are required to pay back a portion of their federal-aid funds such as the Pell Grant. Even though many educators and college officials feel that students may be reluctant to accept financial aid and attend college if they fear having to owe money, the government feels that students should have to "earn" their financial aid. What percentage of his or her aid a student has "earned," and what percentage they may potentially owe, is based on a refund-calculation formula. And You Thought Trigonometry Was Difficult The Department of Education's formula for figuring out how much a dropout owes is as follows: students must pay back 50 percent of a percentage (based on when during the semester the student drops out) of aid not used for classes. A hypothetical case: "John" receives a $2000 Pell Grant for the semester and uses $1000 for tuition. John drops out one-fourth of the way through the semester. Under the new rule, John has only "earned" 25 percent of his grant. The college is required to return all of John's "unearned" aid that went toward tuition (75 percent, or $750). John is personally required to pay back 50 percent of his unearned aid that didn't go toward tuition. Because he dropped out one-fourth of the way through the semester, John earned $250 of his $1000. Fifty percent of the remaining amount ($750) is $375, which is what John owes. Complicated? You Bet. If you're concerned about whether you may owe money in the future, the Department of Education has provided universities with software and worksheets to help calculate how much money students may owe. Why Is This Rule in Effect? In an introduction to the regulations, the Department of Education explains: "Aid is awarded to a student under the assumption that the student will attend an institution for the entire period for which the assistance is awarded. When a student ceases academic attendance prior to the end of that period, the student may no longer be eligible for the full amount of funds that the student was originally scheduled to receive."